Fast 1st appointment and custom quote. Quickly manufactured. 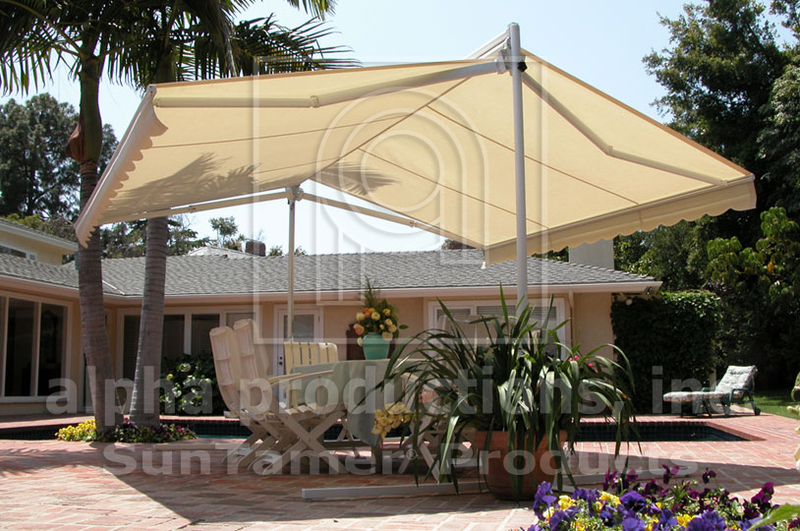 PORTABLE PATIO AWNINGS—Create instant shade on a hot summer day. When instant shade is needed, our portable Awnbrella Awning can be assembled and moved to any desired location. We have engineered the most durable and flexible awning system on the market, using the strongest materials and most sophisticated arm design. The Awnbrella can be used at parks and camp sites too. Every component is designed and made in the USA. When extended out, our awnings help protect you and your family from harmful UV rays—without obstructing your view! Easily retracts to an Almost “Invisible” Profile!